When I was a little girl my mum had these amazing black leather stiletto heels that I loved to wear around the house even though they they were huge for my little foot. That is the first thing that pops to my mind when I think about Morgan De Toi. I visited Morgan in Sportina store in Arena Centar Zagreb. I found this amazing boho dress, perfect for late summer and autumn. Since boho is this year's biggest hit, I decided to post it up on blog. To finish up the outfit I got a leather jacket (also in Morgan). Ok this jacket is just fantastic. Amazing shape and style. Biker jackets never die, but this piece looks perfect on me. So if you're by any chance looking for a leather jacket, this is your model. And now comes the bag. I was actually in a huge dilemma weather to match this blue leather bag or another brown leather bag with this entire combination. 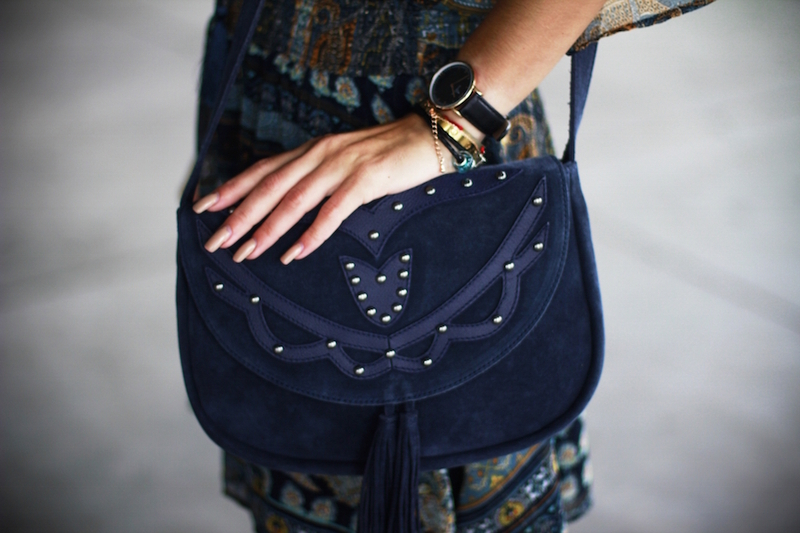 Both of those Morgan De Toi bags are totally boho and easy to combine, but this one got my heart first. Click below to see more photos! Prekrasna, stylish i zenstvena!! Torba je nevjerojatna! Style always related to fashion and this fashion show the your full of attitude which any one can Inspire . Great effort... superb organic content. If you are interested in Top HD Love Wallpapers do have a look. Very exciting information!Ideal simply what i used to be seeking out! Great content. I really love it. beautiful post with nice image collection. thanks for sharings this valuable post.